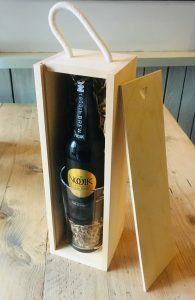 NOO1K has been carefully crafted and oak aged to create a strong and complex body with spicy, woody notes and a sweet finish with flavours of dried fruit, rum and winter berries. This beer is bottle conditioned so drink now or let it age to allow it’s complex flavours to develop further. 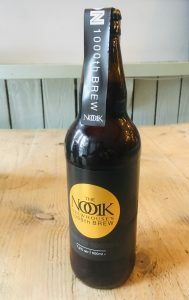 This is a one off beer and only 700 bottles have been produced.